Having released music under 72 different aliases (no joke), it really is tricky to keep up with Uwe Schmidt’s output. The Berlin-born producer, label manager and designer and Berghain resident is busier than most, yet manages to release music at an alarming rate. 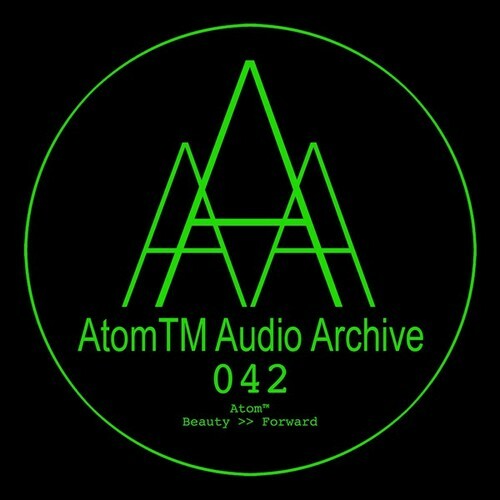 Regardless, the newest album from his AtomTM project, Beauty >> Forward, should not slip under the radar. The nine tracks range from glitchy and abrasive “Phonopollution” to the smooth and dreamy “Petrified Rimshot,” each with nods to the many styles Schmidt has experimented with before— with a particular emphasis on electro and dub techno. While Beauty >> Forward doesn’t necessarily bring anything new to the table, it definitely features a few club-ready stormers that are hard not to move to. Having said that, listen for highlight track “Recycled Term” on a dancefloor near you.